Whether you use your garage to house your car or as a storage space, it is a room full of hazards and dangers. With automatic moving doors and an extension of our homes, there are some dangers inherent with garages. We store tools and hazardous materials in our garages to keep them, safely, out of our homes. Aside from the items that are stored inside, typically garages are not included in home security system monitoring, which makes them targets for thieves. 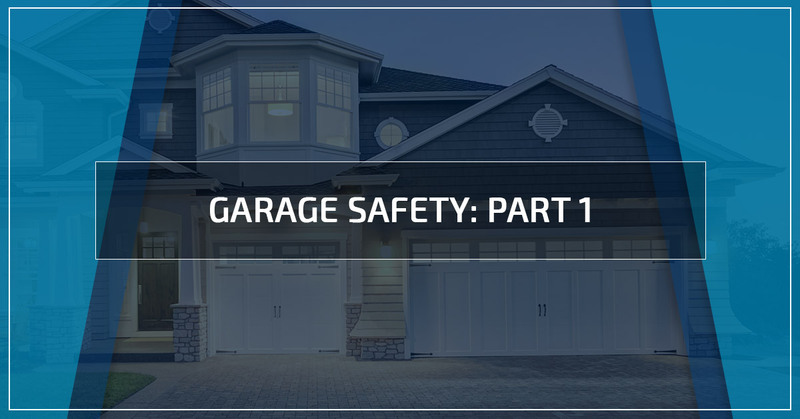 In this two-part article, we will explore some of the common safety hazards of garages and how to help prevent danger. The leading cause of garage injuries is poor organization. When boxes are stacked too high, they can tumble over, trapping a person beneath them. Cluttered, disorganized areas present a host of trip hazards. Most garage floors are packed dirt or concrete, which are not very forgiving when you land on them. To help mitigate the risk of trips or avalanches, it is a good idea to organize your garage. Investing in shelving units can help by providing a safer place to stack belongings. If you have a metal garage, you can use the support beams to secure shelves to. If you have an attached garage with wooden support beams, you can install hooks to hang items. Automatic garage doors make life convenient when we can open the door from down the driveway and close it hands-free. Unless your garage door opener has a sensor that prevents it from closing all the way if something is in the way, it can easily crush whatever is in its path. 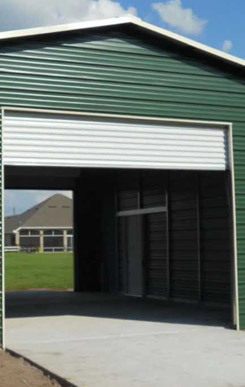 This can be especially dangerous for quick moving children or animals who attempt to dart in or out of the garage as the door is coming down. To prevent accidental injury, make sure that your garage door remote is kept in a secure place and your children understand that it is not a toy. An attached garage is an entry point into your home. A lot of people do not worry about locking their garage door because they, falsely, feel safe because the garage has a locked door. The problem with garage doors is that they are not typically tied into home security systems, so if the door is breached, an alarm will not sound. If your inside door is left unlocked, it is an easy entry for an ill-meaning person. If you have a detached garage that does not have a walk-through door, it may be more difficult to keep your door locked. To prevent robberies, make sure you lock the door every time. If you have to use a padlock on the outside, it is a good idea to use special garage/ storage unit circular locks that limit the exposed lock arm, which helps prevent someone from using bolt cutters to gain entry. These are just some of the dangers. In the next installment, we will discuss fire, weather, and children.